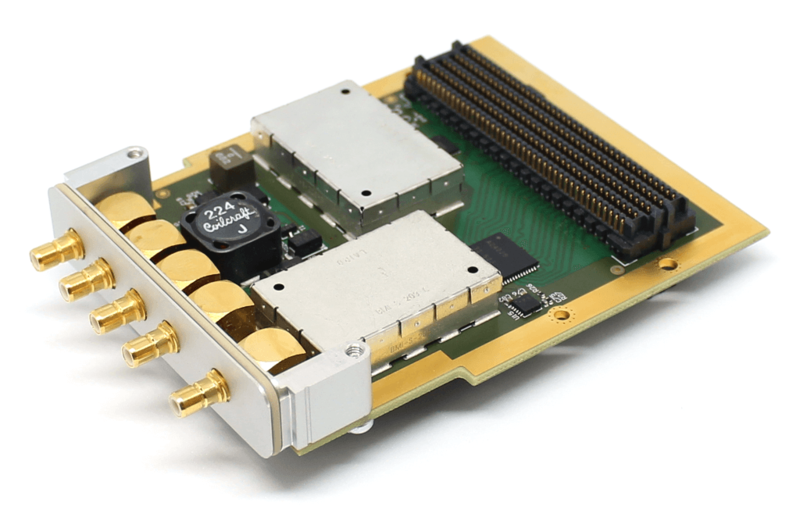 The Creonic L-band RF receiver FMC card allows to receive RF signals between 925 and 2,250 MHz. It is ideally suited for satellite communication with standard satellite dishes since it includes a DiSEqC driver IC for LNB controlling. The board allows to build receivers with symbol rates of up to 100 Msymbols/s. Due to the low-pin-count (LPC) FMC connector it can be used with any FMC carrier board that supports VADJ=1.8V. The card will be available from Q2/2017.